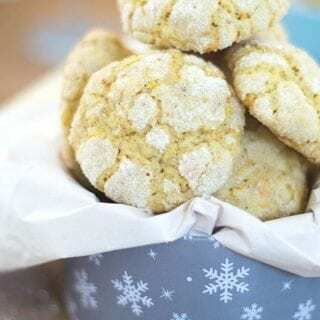 This easy Vegan Crinkle Cookies recipe with matcha, lemon zest and crushed pistachios make the perfect holiday desserts. They also make the perfect gift for anyone. As you may know, I am not a baker. Infact, just the thought of baking something makes me stop breathing! Baking requires a level of precision that I just find it difficult to use. However, I see crinkle cookies all over the internet everyday and they make me drool! 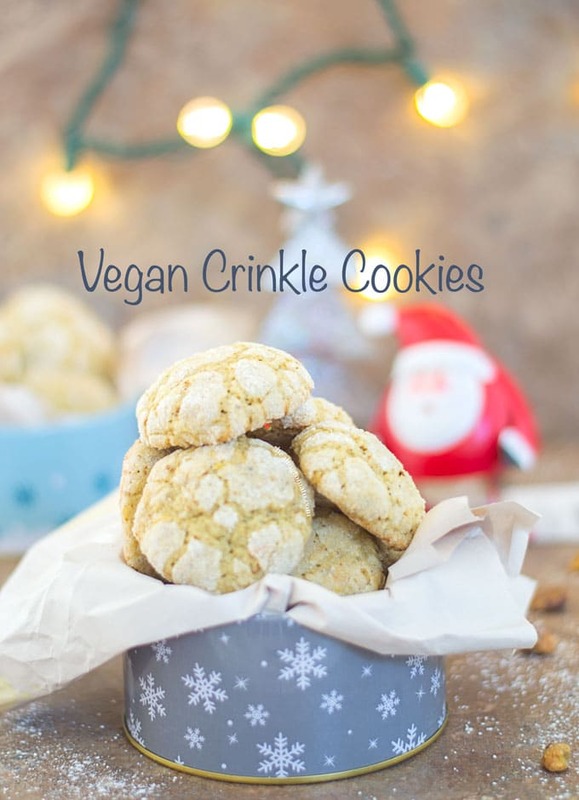 I thought it was about time I created an easy and scrumptious vegan crinkle cookies. 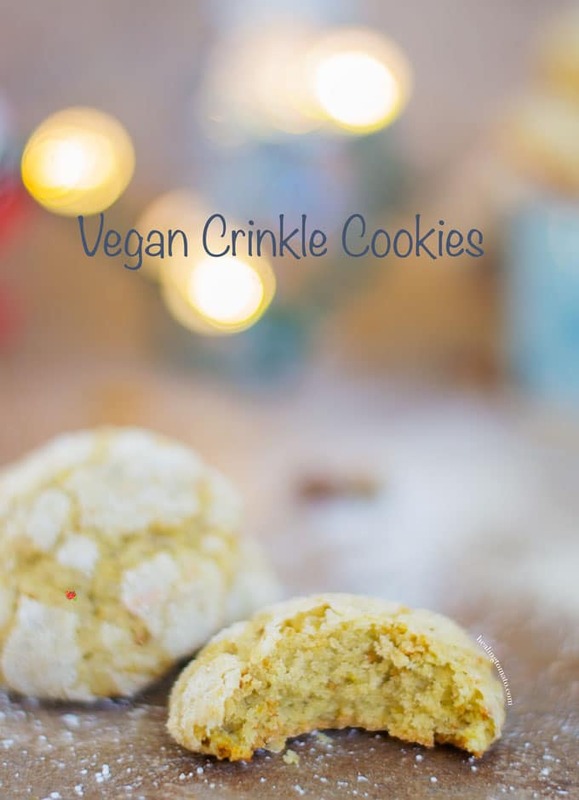 My recipe is inspired by The Nut Free Wok’s Lemon Crinkle Cookies. 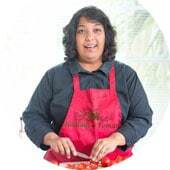 Sharon is one of the strongest people I know and she is also a very talented chef. These lemon cookies are so delicious that I couldn’t wait to make them. I just had to use Matcha in my cookies. As you know, I am Uber-obssessed with Matcha!! There have been pancakes, butter, tzatziki and sparkling water, just to name a few. If you are not a fan of Matcha, you can skip them in this recipe. They provide color and a little flavor to the recipe. Personally, I think Matcha makes these vegan crinkle cookies really stand out. 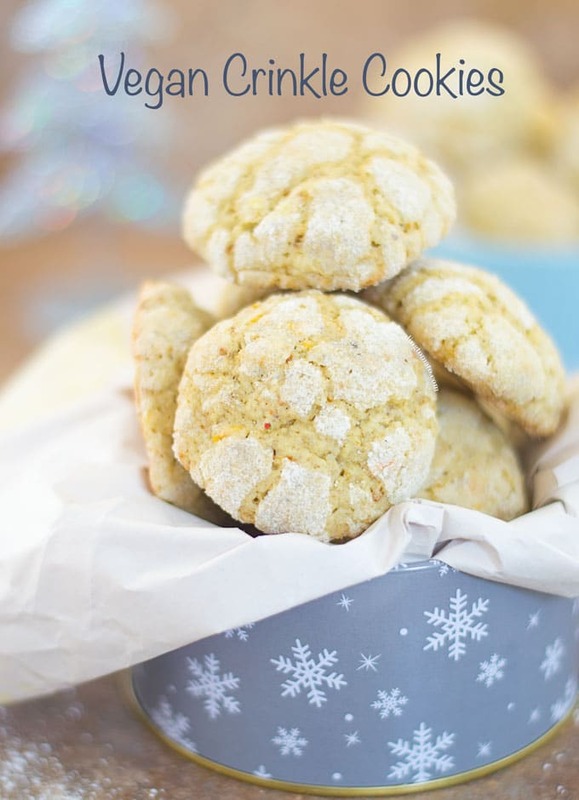 The dominant flavor in these cookies is the lemon zest. It really makes these cookies taste so good and aromatic. You can use lime zest too, if you prefer. So, one of my New Year’s resolution is going to be more baking. If I can make these amazing crinkle cookies, I think I can handle cakes and cupcakes, right? These cookies turned out really moist and soft. I refrigerated them and took them out today and they remained just as moist. Bite into this cookie and find yourself transported to heaven! I think I am going to gift friends with this crinkle cookies. Do you know of anyone who doesn’t like getting cookies as gifts? I don’t think so. These cookies use powdered sugar, but, I was having a hard time finding the Vegan one. Instead, I took (Affiliate Link) regular vegan sugar and finely ground it. This turned it into powdered sugar and was perfect for dusting the cookies. You can also get (Affiliate Link) organic vegan powdered sugar online which is fair trade certified. What dessert do you find challenging to make? 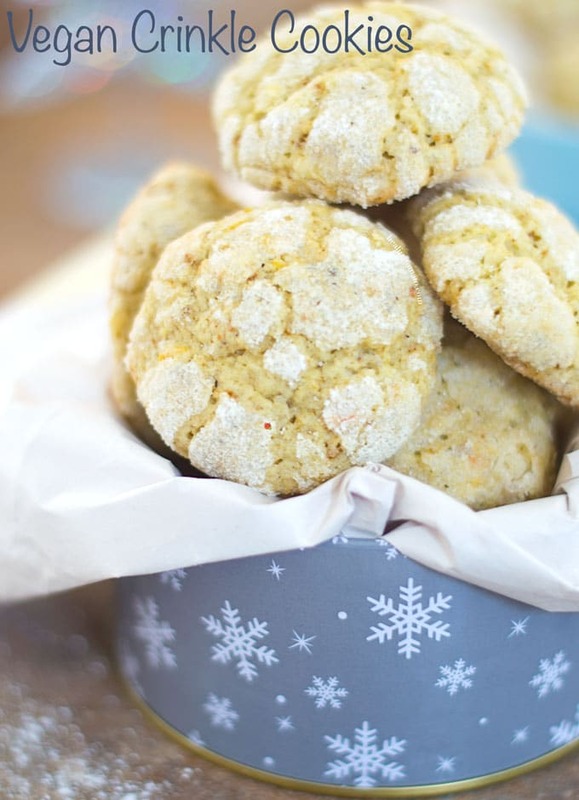 Sweet and Moist Vegan Crinkle Cookies with Matcha, Lemon Zest and Pistachios. Place the tray in the oven and bake for 13-15 minutes. When you see the edges turning light brown, they are done. I’m also a fellow “feardie” of intricate baking but when I saw these gorgeous cookies on Instagram I knew I had to come check them out. As an ex-pat American these remind me of home so much. And I love both lemon and matcha (I drink a pint of cold matcha in the morning instead of coffee). Sooo, these look very enticing to me, and achievable. Thanks for sharing, Finished. And wishing you a happy festive season ???? Somehow missed phone turned Rini into Finished!